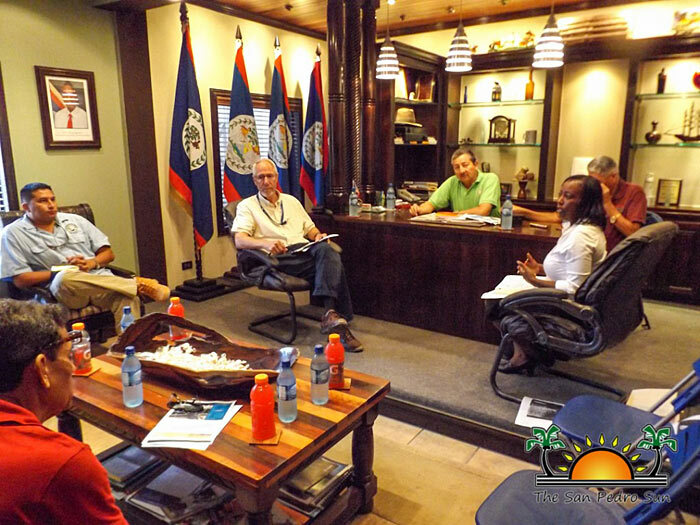 On April 19, 2017, the San Pedro Town Council met with the U.S. Embassy, Public Health Inspector and the San Pedro Police Department to discuss a temporary, and eventually permanent construction of a morgue for the island of Ambergris Caye. The Officer in Charge (OC) of San Pedro, Henry Jemmott, stated that the permanent morgue is scheduled to hold the least eight bodies. The site for the island morgue is already available but certain modifications need to be made before construction begins. However, since construction is expected to take place within several months, the U.S. Embassy has proposed to donate a 3 x 8 feet long Mortuary Refrigerator to be used at the San Pedro Poly Clinic in the time being. This refrigerator is scheduled to be installed within the next three months. Representatives of the U.S. Embassy, Georgia Belezaire and Robert Gibson, along with those present at the meeting, visited the Poly Clinic, the cemetery in southern Ambergris Caye (where the morgue is scheduled to be constructed) and the San Pedro Police Department where the bodies are stored at the moment. According to Georgia Belezaire from the U.S Embassy, the first phase of the morgue will include a temporary unit where bodies can be kept before transporting them off the island. “We are looking at a three-body refrigerated room, which will benefit the preservation of evidence,” she said. Belezaire declared that the Embassy is in full support of the project. Officer in Charge of the Coastal Executive Unit, Henry Jemmott indicated their challenges when it comes to dealing with a body, including taking up to 25 minutes before a body can be transported off the island. “However, when something happens late in the evening, or if the weather is too bad to transport the body, we need to find other alternatives to preserve the body until we can move it,” said Jemmott. In some cases, the body of the victim is chilled with ice bags in order to slow down decomposition and avoid loss of important evidence. With an average of up to four persons dying on the island in a given week, it was agreed that when the morgue is expanded, it should at least have room for eight bodies. A follow up meeting was scheduled for Friday, May 19th at 9:30AM at the SPTC conference room, to continue discussing the plans for the construction of the morgue. Long overdue. Room for 8 seems excessive, but better too big than not at all. Agree with the need for this project, not meaning to change the subject, but....while speaking of another "project" why is the dredging not being addressed on the back street at the Taxi Terminal? Has anyone heard of where they're at with this? Imagine how much parking, & congestion would be freed up. On April 19th, 2017, the San Pedro Town Council joined a group of stakeholders in a meeting that was organized and coordinated by the National Forensic Unit of the Police Department in collaboration with the US Embassy in Belize. The purpose of the meeting, which was spearheaded by Chief Pathologist in Belize - Dr. Mario Estradabran, was to explore the idea of tapping into the United States INL/CARSI Project funds and to look at the possibility of acquiring a Mobile mortuary refrigerator and freezer system. The acquisition of such system would be a temporary solution to the inhumane conditions in which dead bodies are stored on the island, before it can be transported for post-mortem or burial. In cases of violent deaths, in many instances, bodies that are exposed to the natural elements may sometime result in the loss of evidence. In such cases, it makes it difficult for the Forensic Unit of the Police Department to gather proper evidence to bring closure to some of the murder cases in Belize. The reduction and solving of crime has been an area of interest for the INL/CARSI Project in the region. As such, the US Embassy has expressed interest in trying to find a solution that will assist with the island’s need to store dead bodies. Because this has been an area of interest and is also consistent with the council’s vision for permanent morgue for the island, the council was invited to be a part of the steering committee. While the concept of the mobile mortuary system has not been finalized, the US Embassy through the INL/CARSI Project representatives were willing to entertain the idea and carry out initial assessment. As was clearly mentioned by Georgia Belezaire and Robert Gibson, INL/CARSI Project Representatives at the US Embassy, applying for project grants has a process which the concept would need to follow before funding can be secured. Currently, dead bodies are stored under the steps of the San Pedro Police Station before it can be transported for post-mortem in Belize City or for proper burial. As such, the San Pedro Town Council sees this as an opportunity that can be of mutual benefit to entire community, not only in helping finding closure to murder-related deaths, but to handle our dead love ones with much more dignity and respect. Ambergris Caye is one step closer in starting the construction for a morgue on the island, after a follow up meeting on Thursday, June 15th. Officials from the Ministry of Health, the police, The San Pedro Town Council (SPTC) and members of the Embassy of the United States of America met at the office of Mayor Daniel Guerrero, to discuss the morgue building plans, and the commitment of the Embassy to have the facility ready in the upcoming months. The latest meeting was deemed productive, as it was announced that the American Embassy has already purchased the equipment for the morgue. A refrigerated unit with the capacity for three bodies is expected to arrive on the island in August of this year. According to Georgia Belezaire from the U.S Embassy, the morgue will prioritize on homicide deaths in order to protect evidence and avoid contamination. In the case of natural deaths, the bodies will be required to leave the morgue within a specific period of time. 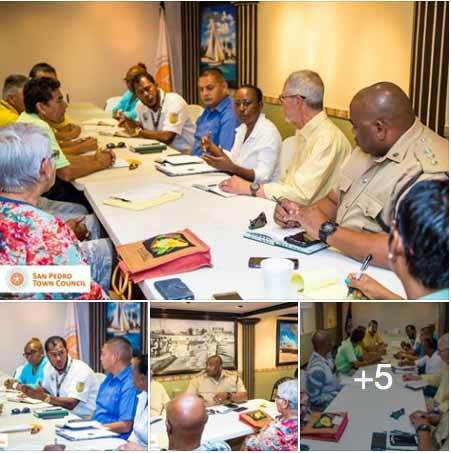 As to the waste generated from the autopsies, Horris Patten, Health Inspector on the island discussed the installation of a system to treat it. Patten indicated that waste would undergo a cleaning process so it does not pose a hazard to the environment.